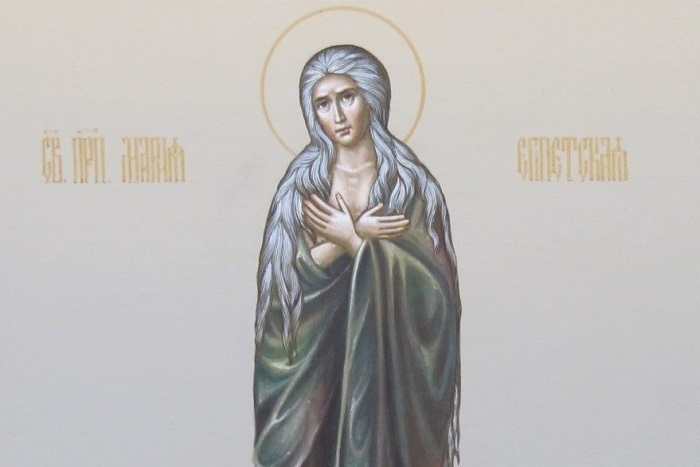 The Fifth Sunday of the Great Lent is marked with the memory of Saint Mary of Egypt – the great sinner turned a greatest saint. She found herself in the abyss of sin and ascended from there to the lofty height of virtue where she could see the Risen Christ in her heart. How did she manage to break free from the bonds of passions that she used to indulge herself in for so many years? How did she manage to achieve holiness? 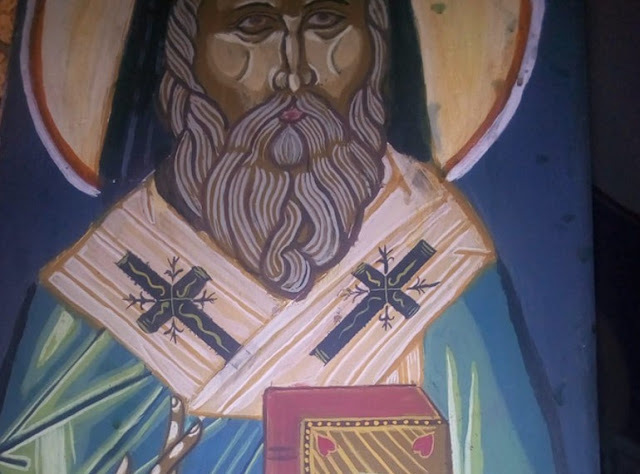 Let us try and find a possible answer in the teachings of Saint Nicodemus the Hagiorite on guarding the five senses, which he described in his eponymous work. St. Basil the Great teaches that our eyes are like two invisible hands that our souls use to touch things at a distance. That is why we should avert our eyes from physical beauty, which arouses our passions. King Solomon puts it thus, Let thine eyes look right on, and let thine eyelids look straight before thee (Proverbs 4:25). We’ve got to be very cautious because there are various images that make their imprints on our souls when we look at things, like thieves who get into people’s houses through open windows. If the thief still manages to sneak inside the house of your soul, you should tackle the Aphrodite’s favorite passion of lust by calling upon God. Saint Nicodemus the Hagiorite recommends driving lustful images away with spiritual images, and that was exactly what St. Mary of Egypt did. When she tried to get into the church and venerate the Lord’s Cross, no sooner could she do it than when she realized that she was living in the sin and saw an icon of the Theotokos. After looking at the spiritual image of the Mother of God, kissing the Life-Giving Cross, and praying fervently, Mary made her first step towards liberation from passions. Her eyes were healed for the first time. Mary went on to guard her eyes from worldly images for the rest of her life by recalling the icon of the Mother of God. She didn’t see anyone in forty-seven years, like the greatest hermits in the desert. Saint Nicodemus advises us to guard our ears from lewd tunes because if your soul ‘enjoys them, it remains insensitive to spiritual delights and is unable to see its miserable condition.’ (On Guarding Senses by Saint Nicodemus the Hagiorite). Lewd songs also plant lustful images into your imagination, while your heart begins to bend towards accepting them. Nicodemus mentions Odissey who sealed his ears with wax so as not to hear the sirens’ voices, as well as Xenocrates, an Ancient Greek philosopher who taught young men to stick plugs into their ears so as not to hear lewd and inappropriate talk. 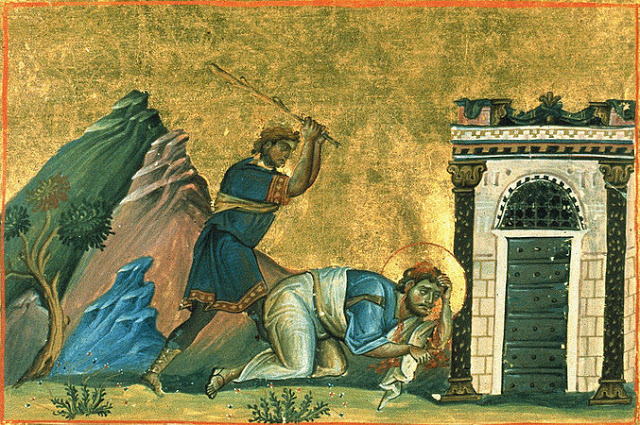 Similarly, Mary of Egypt told Elder Zosimas, “I was seized by an insane desire of dissolute songs, which was embarrassing because it enticed me to sing the demonic songs I had learned in the past.” Mary would hit herself in the chest, bringing to mind her vows, reminding herself of the icon of the Mother of God and praying to the Most Pure Virgin to get rid of those thoughts. Upon crying for a long time, the light of grace would shine down on Mary, and her passions calmed down. Prophet Amos declares woe to those who anoint themselves with ‘the chief ointments’ (See Amos 6:6). The great Isaiah seconds that, And it shall come to pass, that instead of sweet smell there shall be stink (Is. 3:23). For fear of punishment, Saint Arsenius the Great never changed water in the bowl where he soaked palm branches. When asked why, he replied that it was his way of punishing himself for using too much sweet-smelling lotion while he was in the emperor’s court. When Mary lived in the sin back in Alexandria, she must have applied lotions and fragrances to her body to seduce as many men as possible. Probably, the first time Mary had her sense of smell healed was the smell of frankincense in the church where the Exaltation of the Cross was being celebrated. She spent the rest of her life fragrance-free. She didn’t smell anything but hot desert air. In the end of her life, she acquired incorrupt transformation of her body by ‘smelling the Life-Giving Body’ of the Lord. (See Prayer of the Penitential Canon). “Where do these lavish meals and refined food come from? Of course, they aren’t necessary for the body. They appease the palate,” St. Nicodemus writes. Appeasing your taste and eating too much are obstacles to piety, according to the Scripture, But Jeshurun waxed fat, and kicked: thou art waxen fat, thou art grown thick, thou art covered with fatness; then he forsook God which made him, and lightly esteemed the Rock of his salvation (Deuteronomy 32:15). Apostle Paul in his Epistle to Philippians admonishes those people whose God is their belly, and whose glory is in their shame, who mind earthly things (Phil. 3:19). Saint Basil the Great recommends young people not to eat too much because their blood is steaming hot already. If they eat heavy meals, their bodies will turn into Babylon furnaces. Mary of Egypt admitted to Abba Zosimas that she missed meat and fish, of which there was plenty in Egypt. She had liked wine and drunk it a lot; however, after she crossed the Jordan, she had three dry loaves for a long time, and when she finished them, she used plants and roots for food. 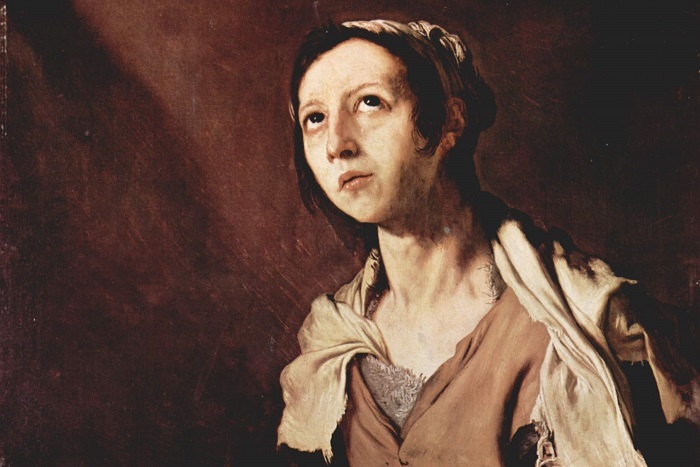 Her biography also claims that after the Communion, the saint accepted several grains of wheat from the elder as a sign of respect, but she refused any other food. 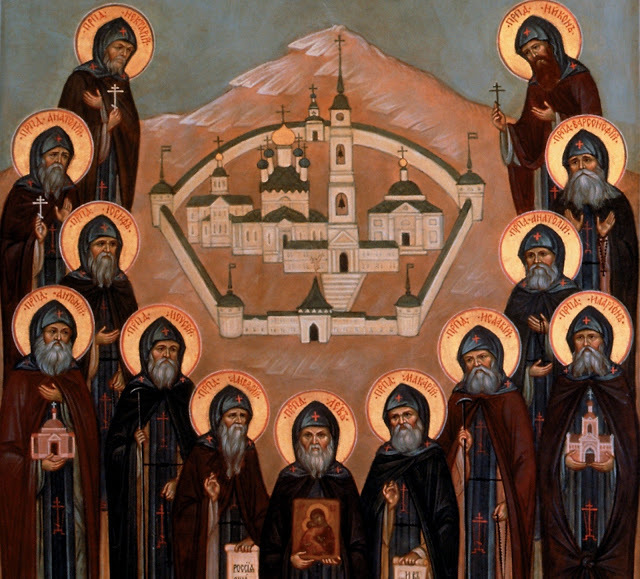 The holy ascetic was illiterate and had never held a sacred book in her hands throughout her entire life; in spite of that, she knew the Scripture well and could quote Prophets and Apostles, which shocked Abba Zosimas. That’s how the Holy Spirit can invisibly feed hermits’ souls with every word that comes out of God’s mouth, rather than bread. Saint Nicodemus writes that all senses are important but even if the sin cannot sneak into a person’s heart through the first four channels of perception, it uses the tactile sense as an easy way into the heart. Holy Fathers recommend ascetics to be cautious not only of touching other people but also of touching their own bodies. Saint Isaac instructs his readers, “When nature calls you, do it with chastity, as if ashamed of the presence of your guardian Angel. Do what you have to do with fear of God.” (Homily 9). It is our sense of touch that leads us to wear soft and comfortable clothes and sleep in a cozy bed. Paterikon tells a story of a brother who abstained from overeating, judgment, and everything else that incited lustful passion, but he was attacked by the said passion nevertheless. The brother made his elder so bored that the elder finally went into the brother’s cell and saw a soft bed. The elder exclaimed, “That’s the reason for the attacks you have to endure, my brother!” (Paterikon). When Mary left for the desert, her ascetic living bolstered her ability to control the feeling through which she had faced the most harm. She slept on the ground. Her clothes decayed and worn off. She was roaming the desert naked and had to endure both cold and heat. 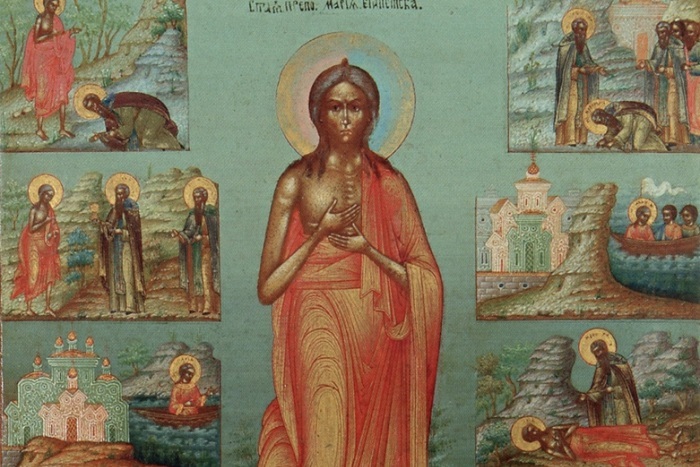 Saint Mary of Egypt is a remarkable example of repentance. We cannot do what she did but we can still be guided by her example of unwavering desire to follow Christ and guard herself against the sin. You must run to win the race. Every Christian can and should be able to control his or her desires and feelings and to fight tooth and nail for chastity. We have a unique opportunity to enlighten our senses, the basic five, by taking communion of the Most Pure Body and Blood of Christ. We have Saint Mary of Egypt who surprised the whole world with her ascetic feats as our great intercessor and advocate before God.